I examine Reiki signs in my esoteric practise. I try to find out where Reiki signs started, how to practice them and bring them really into healings and Reiki meditation. I practice signs as movement records. Something like storage of giving legs and hands during dance performance. Record of motion where each movement is marked with a line and a number of consecutive moves. I deal with characters such as a pictogram which is a sign created spontaneously by someone in shamans tribe to mark any place or event. At that time we are talking about characters which meaning is only known to people who created and used them. I also deal with linguistics that is the science of world languages and also historical languages. If you put together about 20 characters and combine them together, you can have your own font and sonic language. Next, I also deal with the art of cryptography and all kinds of rock signs and drawings. I also took care of symbolic expressions with pictures. The dove with the twig means peace in Europe. In China, white doves are misfortune. Symbolic expression is typical for religions, for example, Orthodox iconographers. I have paid special attention to old egyptian hieroglyphs and I specially stored them into my memory as the base for transition from drawed pictures to simple drawing with signs. It was not possible to write the life of pharaoh with pictures and therefore from drawing arised hieroglyphs as combination of the most important events in the life of pharaoh. I have paid extraordinary attention to kabbalah and Jewish forms of writing. I did actively kabbalah of Sun Brothers, where the Jewish script contained elements of the image, the pictogram, the star constellations. At the same time, the Jewish signs have also numeric value. Specifically, my research has focused on signs communitation of two siamese individuals and I ´ve created their communication signs originated from the back of the brain where the cerebellum is located. I went through training in the book of F. Bardon named The key to true Kabbalah where the basis is to wake up spiritually and esoterically every font and character. I have chosen different fonts of different world languages. I have also been working with shorthand and storing information in the brain in the form of dots. I have consistently focused on Chinese forms of scripture within TAO which is already religious spirituality. After 4 years of Reiki training, I have reached Reiki shamballa where the best ones often have paralysis of parts of the brain and have specially open spinal cord. Spinal cord is usually closed in adulthood and its function takes over large brain. I used the technique of suggestion that my hands and legs are removed and such I deeply opened the spinal cord. Within Tibetan Reiki, I’m working on waking up tail bone as historical tail. We do not have it anymore, but the tail movement center has remained and must be transformed into Reiki character drawing center. I have taken over more attunements from individuals who do QiGong and also Tai chi. I do original chinese Feng shui more then 10 years and I receive distant attunement in such direction. I do exercises Chi-kung and Kung-fu TIGER. After many years of exercises Kung-fu TIGER the oldest form of Reiki is getting open in me and I receive attunement directly from living tigers in the nature. This is the technique which I will reveal here. 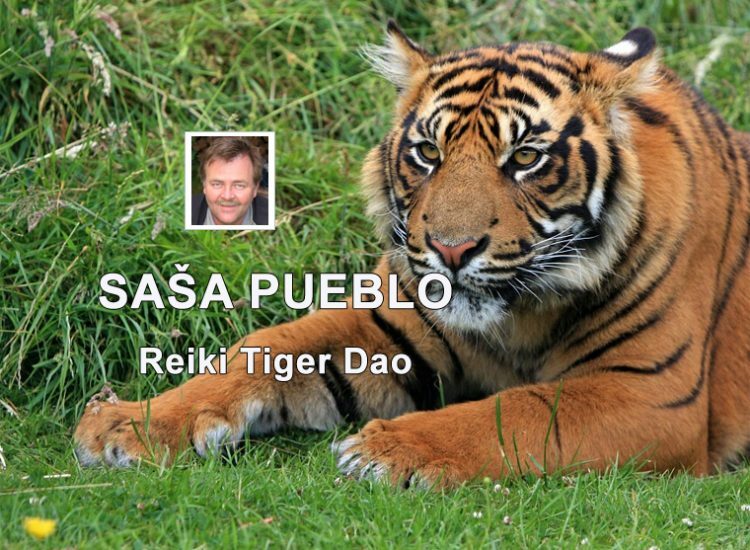 The first Reiki character is still on the forehead of each tiger as its typical burning and therefore every tiger in nature or in captivity carries original Reiki character. And here must begin all Reiki characters and the use of characters within Reiki healing and spiritual practice. Whoever did not pass through the attunement from living tiger, in fact, can not really use Reiki characters and other characters. The tradition of Reiki characters has become a folk event and it has to end. It’s an unhealthy dehonestation of Reiki system. In order to handle physically and mentally burning features of the tiger, as well as classic Reiki signs, it´s necessary to handle Luopan skillful technique which is the aid in the area of manipulation with happy destiny. I have examined people who have received Reiki tiger by clairvoyant techniques. And unfortunately, initiation has not true Chinese base. This is not in TAO system but in older system and that is DAO. And that is basically another way of Reiki and Reiki attunement. Reiki characters are not as cartoon characters of any movement but as a sign on the head of any living tiger. The person has to get minimum attunement into Reiki 1 and Reiki 2 and then it is possible to get real attunement from master living tiger through special procedure. In Reiki you have to get used to the fact that Reiki master initiates people, animals and living trees at distance. Interestingly, people who had Reiki tiger left on their sepulchral places specific energy discs which are slightly reddish and contain the character of the tiger from his forehead. Tiger live in wooded environments from tropical rainforest areas to Siberian Taiga where temperatures fall below -30 to -40 ° C in winter with a heavy snow cover. They climb 3 000-4 000 meters above sea level. Tigers do not climb trees or only in rare cases but they only wipe off their claws. Unlike other cat beasts, tigers love water and love to bathe in it. Throughout Chinese history, the tiger is full of life and embodies the spirit and the pursuit to achieve progress. The oldest tiger was found in Neolithic China 7000 years ago. Zhang is Taoist figure of East Han dynasty also known as Zhang Daoling. Zhang is sometimes shown on tiger. In some taoist sects, Zhang, together with Ge Xuan, Xu Xun and Sa Shoujian are called “Four Heavenly Masters”. The list of celestial masters, leaders Zhengyi Dao, continuing Wudoumi Dao. In the English language, heavenly master was also known as “Taoist Pope”. Taipingjing (“Great Peace Scripture”) is the name of several different Daoist texts. Taipingjing usually refers to the work that has been preserved in Daozang. This is considered to be valuable resource for research into early Daoist beliefs and societies at the end of east Han Dynasty. The way of haeaven masters is chinese daoistic movement which was found by Zhang Daoing in year 142 CE. Zhang was the first heaven master and he started spread his newly formed movement in whole province Sichuan. Kung-fu is Chinese martial art and also life style which uses different blocks, strikes, kicks, chucks, pressure points and weapons, many techniques and styles take inspiration from nature, respectively from animals (mantis, tiger, snake …) teaches not only self-defense and struggle but also mental balance and harmony of body and mind. Black Tiger Fist is Chinese martial art characterized by extensive footwork, acrobatic kicks, unique position mimicking movements of the tiger. Tiger Temple was Buddhist temple and sanctuary for wildlife, including tigers, mostly Indochinese tigers. This system has twenty one beautiful and healthy tigers belonging to subspecies “Panthera tigris altaica” or unprofessional siberian tiger, which is globally registered in the list of endangered animal species. Tiger has stimulated feeling of admiration in whole Chinese culture: his ability, his wilderness, the beauty and the harmony of opposites. The Tiger, as a creation with many symbolic qualities, is full of life and embodies the spirit and the pursuit of progress. Learning about five elements (wu-sing, also five elements) is one of foundations not only of traditional Chinese medicine but also of other traditional Chinese disciplines such as feng shui, music, astrology, military strategy and martial arts. Feng-shui is traditional Chinese learning that deals with the relationship of man and his living space in time. It attempts to bring harmony into space and allow uninterrupted flow of chi energy. Such a space can be an apartment, home, workplace, garden or city. In China, tiger is considered the king of all animals (not a lion) and represents strong energy. In addition, tiger is associated with Tsai Shen Yeh, Chinese God of Wealth. Asian traditions consider tiger as protector of dead man and often seen in sepulchres as a trademark and providing peace for those who have passed through. Tatoo is the kind of artwork in which particles of ink or other dye are applied under the skin of a person by tatoo needle. In professional terminology, micro-pigment implantation. Thus, tattooing is one of forms of body beauty. Ötzi is a modern name of well-preserved natural mummy of man from around 3 300 BC, found in 1991 in the Schnalsal Glacier in the Ötztaler Alps near the Austrian and Italian borders. Originally, Chinese calligraphy and tattoos were combined to distinguish social classes or tribes. Calligraphy began in Europe and Asia and spread to other continents and landscapes. Today, Chinese calligraphic tattoos can be found all over the world and everyone can receive them. Tailbone is made of three, four or five rudimentary vertebrates. In each of the first three segments, it is possible to trace elementary body and hinged and transverse projections. As the remnant of lost tail. As the remnant of lost tail. You mentally twirl and draw Reiki characters and other characters with tail remains. Amputation is to remove peripheral part of the body from whole either by injury or surgery to relieve pain or to prevent the spread of infection (gangrene) or metastasis. The project Tiger is program of conservation for tigers, the aim of the project is to ensure a viable population of Bengal Tigers in their natural environment and also to protect them from extinction. In India, there are 50 tiger reservations which are managed by the project Tiger administered by National Tiger Protection Office (NTCA). India is home to 70% of tigers in the world.